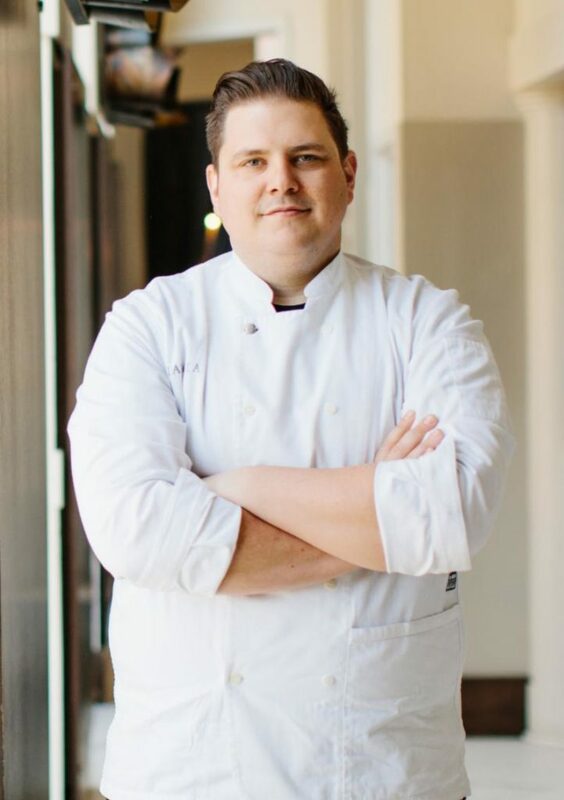 EXPO Features Chef of the Year Jason Hammel — Buy Tickets Now! It’s crystal clear: FamilyFarmed’s 15th Anniversary Good Food EXPO, March 22-23 at Chicago’s UIC Forum, will be something special. 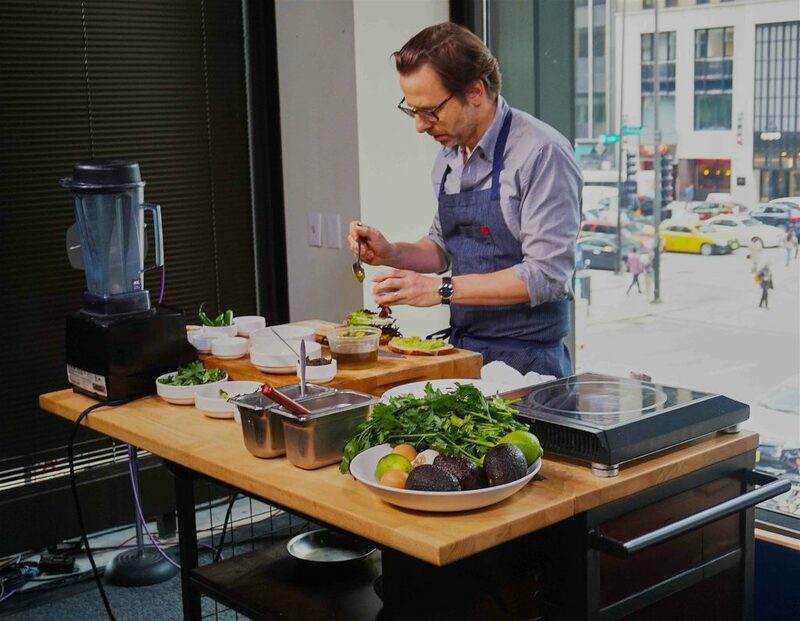 Jason Hammel, of Chicago’s legendary Lula Cafe, will be honored as our 2019 Good Food Chef of the Year. 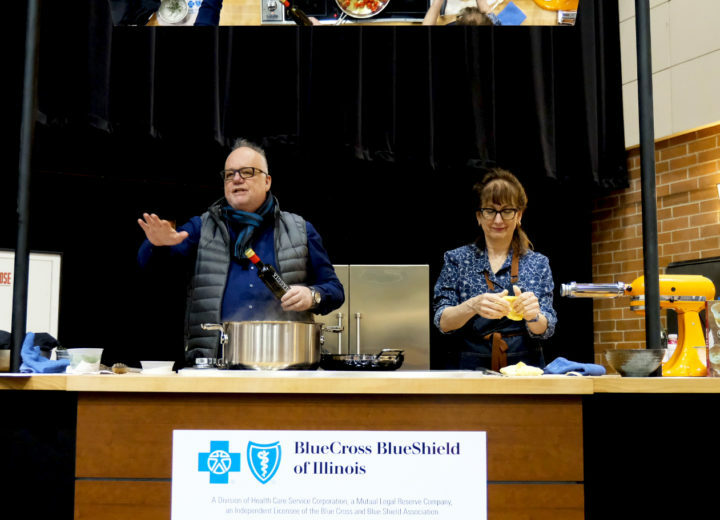 Other culinary rock stars, including Top Chef winner Joe Flamm of Spiaggia, will do their demo magic at the Blue Cross Blue Shield of Illinois Chefs at Play stage. Thousands of Good Food insiders and consumers will enjoy unparalleled opportunities at the Midwest’s premier experience focused on local and sustainable food. They will sample delicious and nutritious products, while learning from an outstanding collection of expert speakers, chefs, farmers, entrepreneurs, investors, buyers, sellers and DIY enthusiasts. Hammel will be honored with the Good Food Chef of the Year award and will do a demo on Friday, March 22 at the Networking Reception, which will cap that day’s Good Food Trade Show (ticket required). Hammel is a farm-to-table pioneer at Lula Cafe celebrating its 20th anniversary, and his newest hit, Marisol at Chicago’s Museum of Contemporary Art. 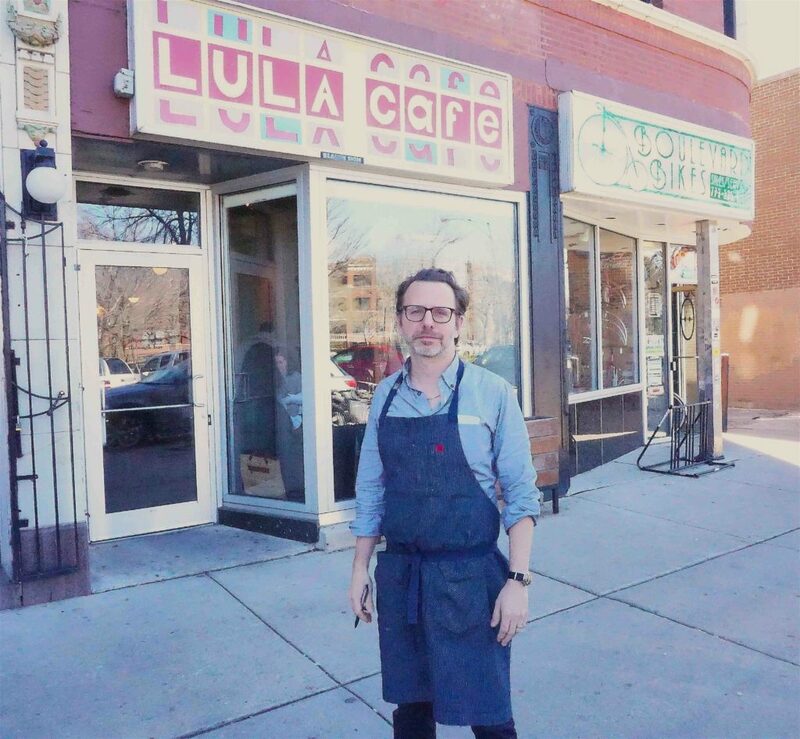 Jason Hammel outside his landmark Lula Cafe, founded 20 years ago, in Chicago’s Logan Square neighborhood. He is also a leader in instilling Good Food values in our youngest eaters as a co-founder of the chef-driven Pilot Light program, which works with Chicago Public Schools to integrate food education into students’ curriculum. And our Good Food Chef of the Year isn’t Hammel’s first major award this year. He just was named Chef of the Year at the 2019 Jean Banchet Awards for the best in Chicago-area restaurants, in a ceremony held January 13. 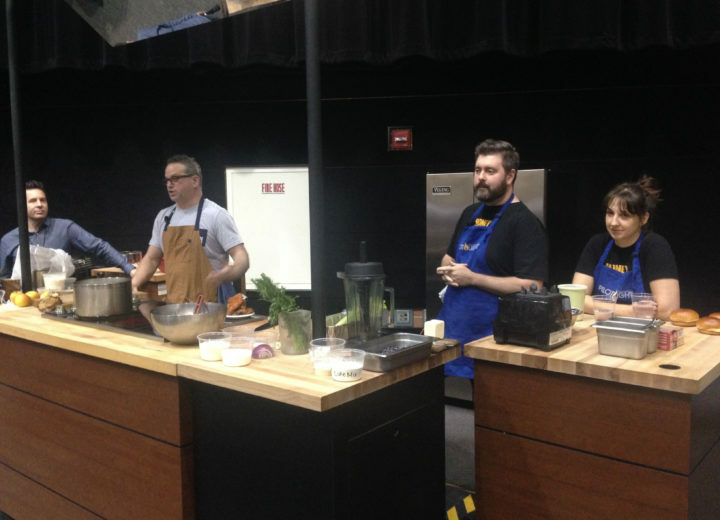 Chef demos at the Good Food Festival — the big public celebration of Good Food held this year on Saturday, March 23 — also are among the EXPO’s most popular programming. 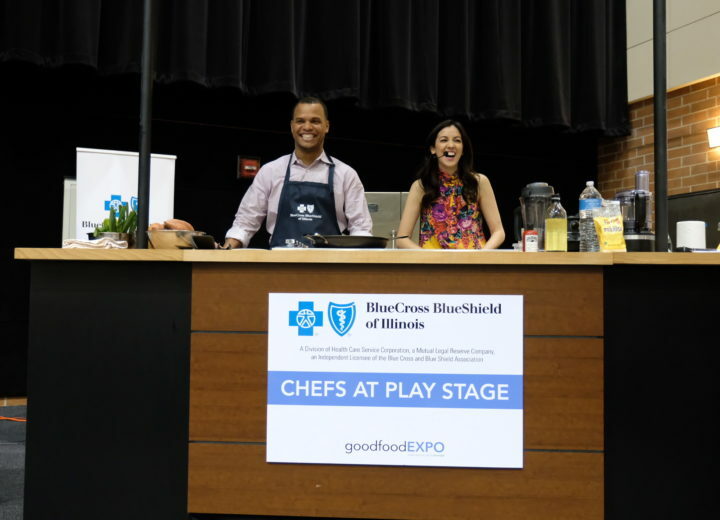 Hitting the Blue Cross Blue Shield of Illinois Chefs at Play Stage will be Joe Flamm, fresh off his win in Bravo TV’s Top Chef: Season 15; past Jean Banchet Award winner Sandra Holl of Floriole bakery/restaurant, who will present with Purple Asparagus, which brings lessons about food to Chicago schoolchildren; plus several other local favorites. Admission to the Saturday Festival is free. Our crowd-favorite Good Food is Good Medicine panels are returning to the Good Food Festival. The Festival is family-friendly, and the Kids’ Corner presented by Purple Asparagus is back, too, as is the popular Test Your Soil! 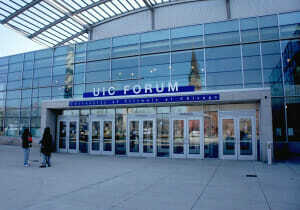 conducted by the University of Illinois in conjunction with Advocates for Urban Agriculture. Attendees will again enjoy the opportunity to meet many of the Midwest’s leading farmers and food product companies — and taste their products — at the Good Food Marketplace, open both days of the Good Food EXPO. Tickets for the Friday Trade Show are now on sale; the Saturday Good Food Festival is free of charge, but registration is requested. Please visit goodfoodEXPO.org for more information and read all about it on FamilyFarmed’s Good Food News website. Check back often for programming updates!